Credit Sesame, Credit.com, Credit Karma, and Quizzle are the top four websites to view your credit score for free. I talked a bit about them in this post, however that was just a taste. Credit monitoring is extremely important in the world of manufactured spending. In fact, it is important even if you don’t own a credit card. Your credit determines interest rates and lend-ability, which makes it vital to monitor your credit. Credit Sesame lets you check your Experian credit score for free. The score is only updated once a month, however so is credit.com. What really sets Credit Sesame apart is the ads and the options. Credit Sesame has on average 5+ more ads than any of the other sites in this post. It is a bit over the top. It does offer a lot of options though. You can monitor your credit, set goals/savings, find new credit cards, and monitor your debts/assets. The other sites have some of these options, but Credit Sesame has the most. 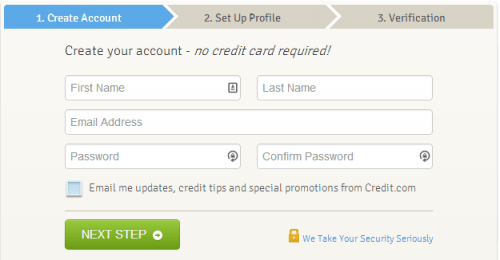 Go to CreditSesame.com (Disclaimer: That is an affiliate link. Thank you for the support! ), enter your email and password, then select “Get Started”. After you follow all the prompts and enter all of your information, you will be on the home page. It may take a minute or to for the system to update and get your score. 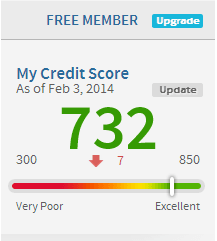 My score has not updated for March yet, but it went down 7 points from January to February due to my credit card churn. You will be able to check your score in the top left every time you login. If it does not update automatically, click the update button next to your score. There is also a nice feature on the homepage that allows you to see your credit score, credit usage, and monitor your credit. Credit Sesame offers a ton of features. They offer so many features that I have barely scratched the surface. 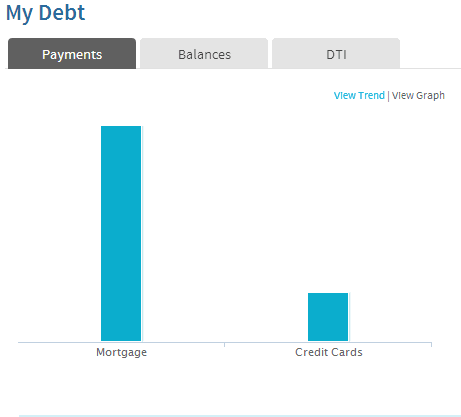 On Credit Sesame I like to use the My Debt and My Assets sections. You can see how much you owe, what payments you have made, how much your assets are worth, and much more. 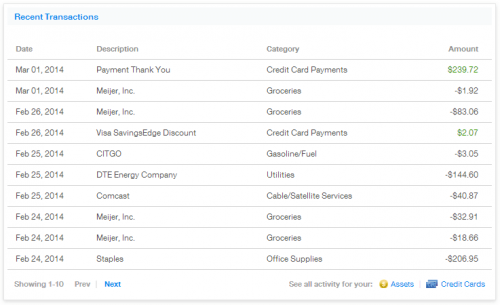 If you have a house or credit cards, this is a great feature to check out! It is in the middle of the homepage. 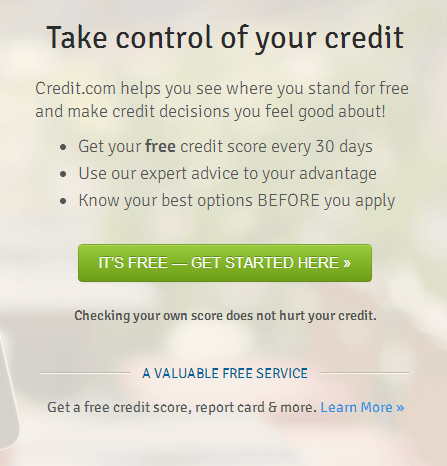 Credit.com is very similar to Credit Sesame, since they both report your Experian score once a month. Why sign up for both then? It’s simple really. Both of them update once a month, so if you use one at the beginning of the month and the other one in the middle of the month, you will get your Experian score twice a month for free. The trick is to sign up for one at the start of the month and the other at the beginning of the month. Do not sign up for both at the same time our you will get your Experian score updated at the same time once a month. 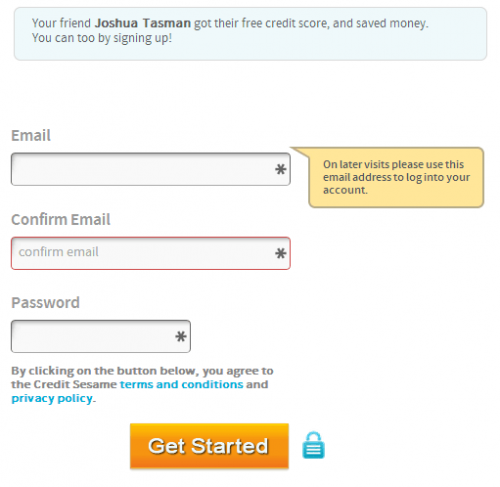 Go to Credit.com and select “It’s Free – Get Started Here >>” on the homepage. Enter all of your information and create your account. Credit.com has my favorite UI of all the websites in this post. It is very clean, with almost zero ads, and it has all of your important information right up front. Besides your credit score, Credit.com does not offer many features. However, I really like looking at this report card they make for you. You can also see when the report was generated for you and how long until it can be updated again in the top middle area. Credit Karma is my favorite website to view my credit score. They report your TransUnion score and update every week. 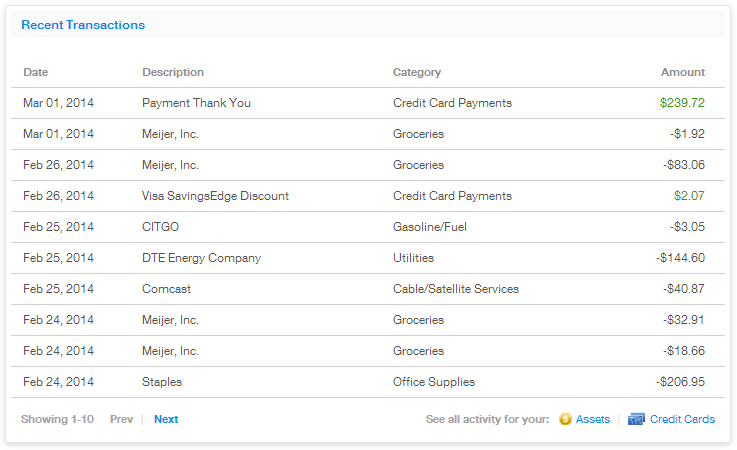 They also let you see all of your credit card transactions in one place if you set up your accounts on their website. Credit Karma’s website is not quite as well designed as Credit.com, but the weekly updates are the best! Go to CreditKarma.com and select “Get Started Now”. Enter your information: email, password, social security number, etcetera etcetera. Once you sign up for one of these sites you have basically signed up for all of them. They all require the same information. You can check your credit score on Credit Karma, but did I mention you can check it weekly? Of course I did. That is by far the best feature of Credit Karma! One of the other features I love about Credit Karma is the ability to see all of your credit card transactions in one place. 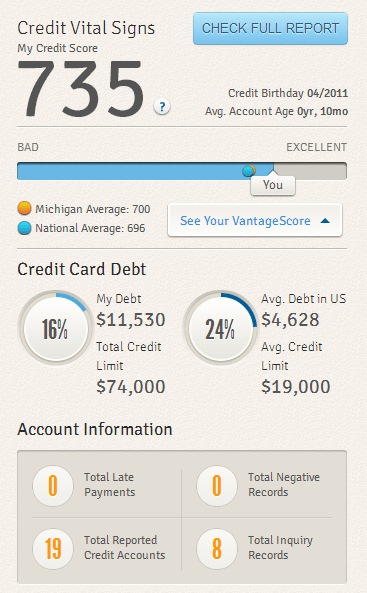 You can also do this on Mint.com, but I much prefer using Credit Karma. Mint is full of crap I could care less about (ads). To see your credit card transactions, click the “Recent Transactions” box on your homepage and enter your login information for each credit card. I only just heard about Quizzle a few days ago and decided to sign up. They pull your credit score from Equifax, so it is another good website to keep tabs on. The biggest downside with Quizzle is that your score is only updated every six months. However, it is free so we can’t complain too much. Go to Quizzle.com and select “Get Started – It’s Free”. After browsing around Quizzle, I am very impressed. The UI is even better than Credit.com and there are a lot of features. A few of my favorite features are the credit tools. Timeline is just that, a timeline showing all of the different events that happen on your credit report whether positive or negative. 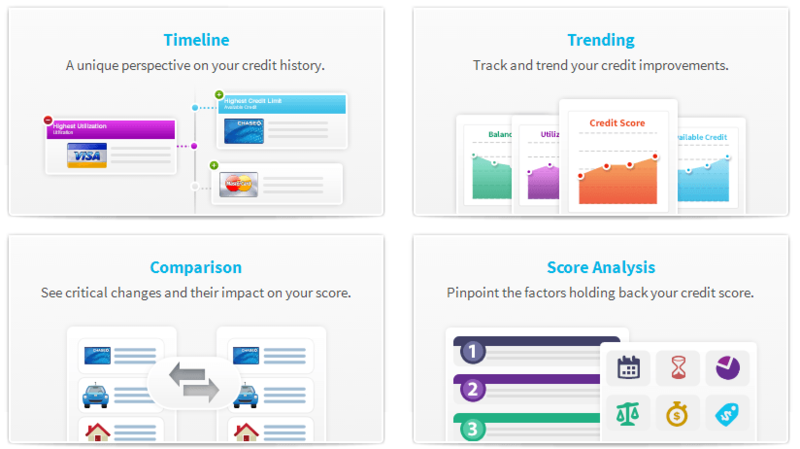 Trending shows you the history of your credit score, utilization, available credit, and balances. Comparison shows you what has changed since your last credit report on Quizzle and how it has affected your score. Score Analysis shows you what is holding your score back from a perfect credit score. It also gives you suggestions on fixing those issues. According to Wikipedia, The FICO score is the best-known and most widely used credit score model in the United States. It was first introduced in 1989 by FICO, then called Fair, Isaac, and Company. The FICO model is used by credit reporting bureaus such as Experian, Equifax, and TransUnion to produce a FICO score. Because a consumer’s credit report may contain different information at each of the bureaus, FICO scores can vary depending on which bureau provides the score. Lately many websites/credit cards have been giving you the ability to view your FICO score online for free. This is great news, because it’s one more way to check one of your credit scores! That depends on how you are viewing your FICO score. The only credit cards I have that give free FICO scores are Discover and Barclay. Discover’s is in the Tools & Features section on the bottom of the page after you log in. Barclay’s is on the bottom right of the page after you log in. I have also heard some cards from US Bank give free FICO scores, but I do not know for sure. Also, the First National Bank of Omaha gives free FICO scores to their card holders if you happen to live near one of them. FICO scores are considered to be more accurate than any other credit score, so it is important to stay up to date with your score. It is not guaranteed that a credit card or lender will check your FICO score, but it is worth checking often. I have mentioned Target’s Credit Monitoring before, however I want to mention it again since it is free. Due to Target’s recent breach, they have been offering a free year of credit monitoring through Experian and ProtectMyID.com. 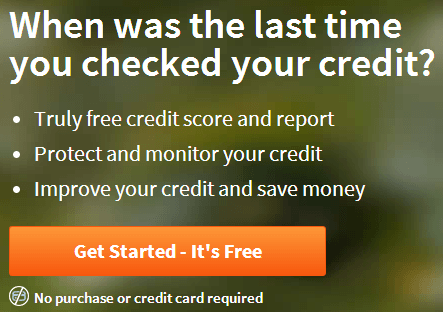 This is a completely free service, so there is absolutely no reason not to sign up for a free year of credit monitoring. You can sign up here. Your credit score will differ from bank to bank and website to website, so it is good to check your score on every free tool that you have available to you! If you are planning on signing up for a credit card or doing an App-o-Rama check out creditboards.com. You can check which credit score is pulled for that credit card. Just go to that link and enter the bank or credit card that you are applying for and it will show you want score was pulled for other members. This way you can have a general idea, if you will be approved or not. Also, if your score is lower on one bank than the other you could avoid cards that pull the lower score. This website is not guaranteed to be 100% accurate, because it is submitted by users and a credit card issuer can change which score they check at any time. So, use this website with that in mind.